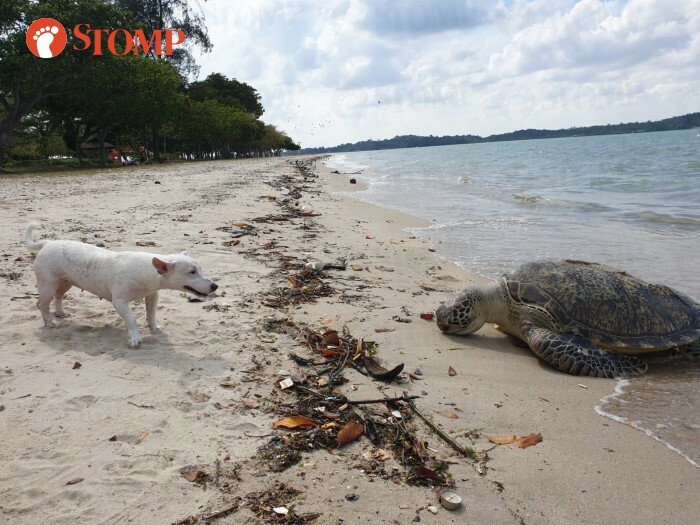 A dead sea turtle was found washed up on Changi Beach on Tuesday afternoon (Mar 26). Stomper Kevin was walking his dog along the beach when he found the dead turtle. Kevin estimates it to be about one-metre-long. 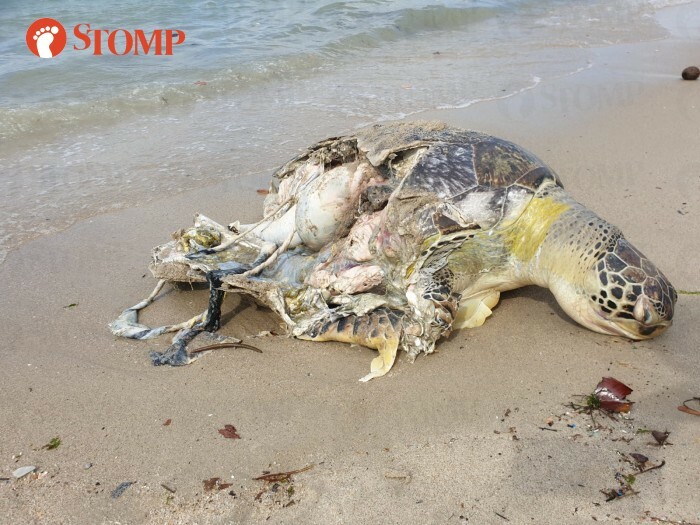 In photos shared by the Stomper, the turtle's shell is smashed on its right side, exposing its innards. One of the photos shows his dog curiously staring at the carcass. "It was probably hit by an outboard motor," said Kevin. From the photos, the turtle appears to be a green sea turtle. Singapore is home to two species of turtles, both of which are at high risk of extinction. The hawksbill turtle, which is most commonly seen around our coasts, is critically endangered, while the green turtle, which is much less encountered, is endangered.